The 2019 Programs are fresh off the printing press and will be distributed at Fridays home game against Norwalk! Thank you to everyone that contributed to the sponsorship fundraiser this year -- it will be our biggest program ever! Special thanks to both Timmy Ziegler and Ian Moltzau -- between the 2 of them they contributed almost $2000 in sponsorships! They will both be receiving gift cards as a token of appreciation. Thanks again to everyone! Go Falcon Lax! 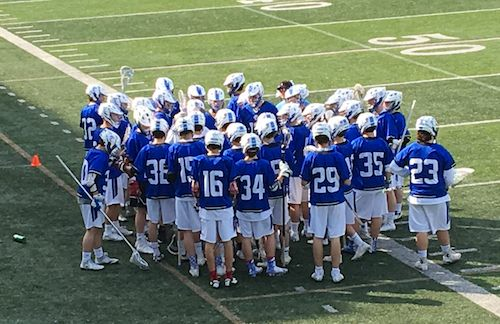 Aidan Wykoff, senior attackman and captain at Fairfield Ludlowe HS, is on the verge of breaking two long-standing boys lacrosse records. At 133 career points, he is only 6 away from the all-time leader, Nate Ryan. And with 92 career goals, Aidan trails Nate by just 10. Aidan Wykoff has been a starting attackman for four years at Ludlowe. He is committed to play his college ball at Gettysburg University. His brother, Mitch, also at Gettysburg and also a former Ludlowe captain, was named All-American last month and was the Centennial League’s defensive player of the year in 2018. A graduate of 2011, Nate Ryan holds all four of the top Ludlowe records: career points 139, career goals 102, points in a season 64 and goals in a season 52. Nate was a captain at both FLHS and at Weslyan University in Middletown, CT.
For those traveling to the Mt. Greylock game today, it will be held at the Massachusetts College of Liberal Arts (MCLA) in North Adams. 2. Layers or warm gear/ rain gear for before/after event. 3. Bag lunch for the bus ride up. 4. Money for a (fast-food-ish) dinner stop on the way home. If you have any questions, please encourage your sons to ask the team captains or Coach Parisi. Save the date: Monday, June 10th at 6pm for the 2019 Season Lacrosse Dinner! Please email Deb Owens at if you are able to volunteer for any of those items. 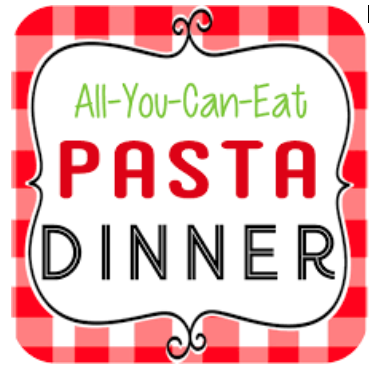 SAVE THE DATES: Lax Pasta Dinners! ahead of time, so you can donate food or volunteer. We need parental participation to make these nights a success! Thanks to all who were able to attend the FLHS Lax social at Cinch, and another HUGE thanks to the Russells for hosting. It was great to (re)connect with all of you and build the excitement for the Spring 2019 Season! 1. The Spring Schedule has been posted at the CIAC site here (master schedule). You can link the schedule to your google or desktop calendar by visiting this page: http://ciacsports.com/site/?page_id=105. The schedule will likely change throughout the season, so we recommend using these live feeds. 2. Coach Parisi gave a great preview of the season and invites anyone with questions about the season, etc to contact him directly at . Official practice will start on Saturday, March 16. Updated practice schedules will be communicated in the weeks to come. 3. We received updates from the Philanthropy, Pasta Dinner, West Point Tailgate, Senior Night, and FLHS merchandise committees about their plans for the season. Each group willbe sending updates about events. if you are interested in helping please contact the committee members HERE on the PALS directory page. 4. We are in need of someone to manage the End of Season Awards Ceremony. Please reach out to if you are interested. We have it down to a science, so there is not much heavy lifting needed! 5. The Fundraising committee officially launch the 2019 Program Sponsorship Program. Like past years, we are selling ad space in 72 page booklet. All sales revenue will be counted against the $325 player dues, so start selling today! The cutoff for Advertising Sales is Sunday, March 17. If you choose to just pay the dues directly, they can be paid here: http://ludlowelax.usl.la/Store/Item.asp?id=34881&n=&org=LUDLOWELAX . The deadline for dues payment is also Sunday, March 17. Thank you all for the efforts made yesterday in our first annual West Point Outing. It was an amazing day of food, lacrosse and camaraderie -- and the weather only served as an appropriate backdrop to a perfectly executed event by P.A.L.S. As we reflected on the bus ride home, our lacrosse season is merely a journey of life. Where there are 10-7 losses to Cheshire as bumps in the road, there are also amazing bonds of fellowship strengthened by those very bumps. As that Army team sang their traditional song at the end of their bitter loss to their rivals on senior day, it should renew in all of us the commitment to what we have built together. Overall, the one word that came to mind was GRATITUDE. I am grateful for the efforts, sacrifices and never-say-die mentality that the players demonstrated on the field yesterday. Thank you all for diligently executing the three things that we asked in the gameplan on Friday: middie defense, control of the dodge from X and our Gold clear. On behalf of all the coaches and players, we are extremely grateful to the parents for hosting all the great events that we have and for supporting us in our ups and downs.